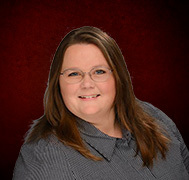 "One thing that sets me apart from other real estate agents is that I am known for my outstanding client service. I believe that it is not only my duty to represent my client to the best of my ability, but also to educate them throughout every step of the process. This allows my client to make the best decision possible. I specialize in bringing peace of mind to home sellers who have previously struggled with selling on their own or with another agent, and to home buyers who view buying a home as a daunting task. I am passionate about YOUR family's needs and goals."